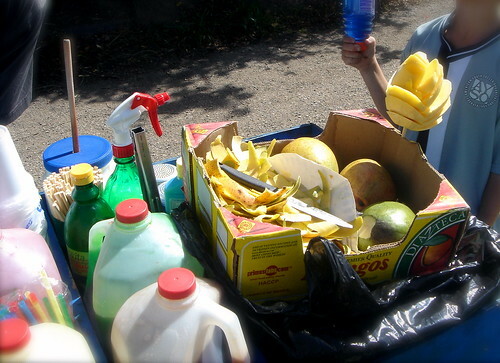 Every Saturday during the soccer games at the park, people push carts with big blocks of ice and jugs of syrup that they whip into giant slushy Dixie cup treats for $1.50. Sometimes they have boxes of mangos that they carve into mango flowers and serve on sticks. All the kids want one.